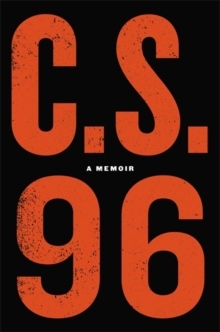 C. S. 96 recounts the harrowing life he's lead as the most successful confidential informant in the history of U.S. law enforcement. A onetime mastermind narcotics distributor, C.S. 96 first saw the tragedies caused by the drug trade with his own eyes as he got to know the women involved with his business partner and the children that they raised. By the time C.S. 96 was arrested in a drug bust, he had made up his mind to get out of the business for good. Rather than beat the charges as his lawyer advised him to, he would confess, flip sides, and work for the federal government. He has spent the two decades since working for a web of federal agencies, leveraging inside information and connections gained while living his own criminal past to launch audacious operations that no other undercover agent would dream of. While projecting the swagger of a druglord, C.S. 96 get inside the minds of the gang and cartel leaders he goes toe to toe with. He becomes an actor risking everything to perform every night--one minor slip in his character and C.S. 96 and his family may disappear forever. And when leaders of Mexico's Sinalao Cartel that he was trying to ensnare tracked down C.S. 96's home and visited his wife and children there unannounced, he was forced to unroot them and confront the unthinkable dangers that he brought into their lives. Unfolding in Southern California mansions, makeshift DEA trailers set up in the middle of the Redwoods and the anonymous fast food parking lots where kilograms of cocaine and heroin changed hands, CS 96 is the epic saga of one man's quest to redeem himself in the eyes of his family and a thrilling, intimate look at the law enforcement battle that rages on beneath our noses.